The Department of Physics and Engineering offers an array of associate degree and certificate programs to provide students with the skills and foundation for careers and advancement in engineering, engineering technology, and advanced manufacturing technology. The Department offers three associate degree and six related certificate programs. Three certificates and four concentration tracks can lead to the Engineering Systems Technology associate degree. The Engineering Transfer associate degree transfers to most engineering bachelor degree programs and offers nine concentration tracks. 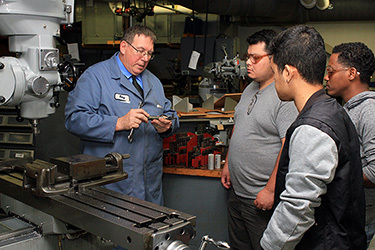 Three certificates can lead to the Advanced Manufacturing Technology associate degree.